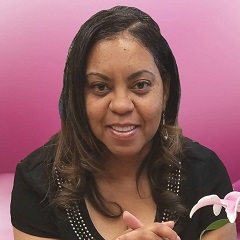 LaTonya Branham, Ph.D. is a 2018 graduate of the PHD Program in Leadership and Change at Antioch University. Dr. Branham at her Dissertation Defense. 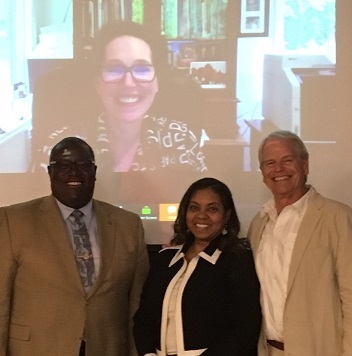 L-R: Dr. Frederick Aikens, Committee Member Dr. Lize Booysen, attending virtually on monitor, Committee Member, Dr. Jon Wergin, Committee Chair. Branham, LaTonya M., "Interpretative Analysis of Adult Learners’ Lived Experiences in a Uniquely Designed Higher Education Program" (2018). Dissertations & Theses. 447.